Are you looking for an eCommerce & physical point of sale (POS) solution that is robust & scalable, yet intuitive & simple to operate on a day to day basis? Look no further, we have your solution! 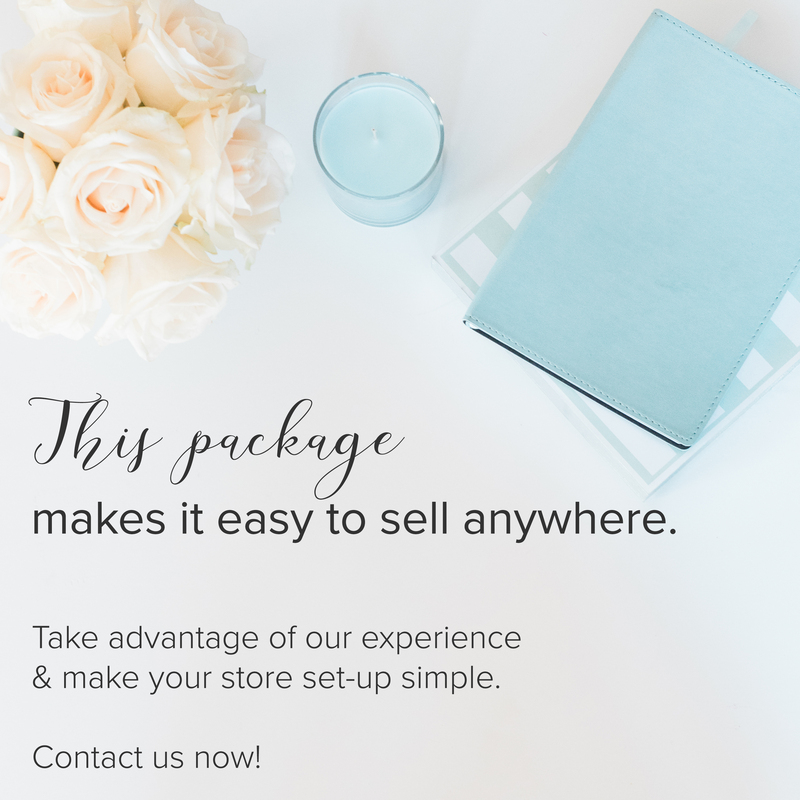 Our online physical store setup package provides clients within the US & Canada with a powerful online store & a cutting edge POS terminal for your in-store or in-person sales. Best of all? 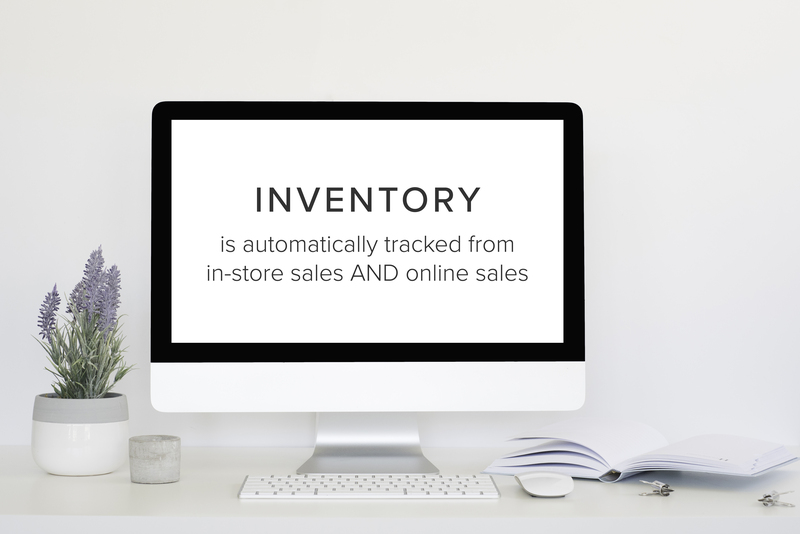 Your inventory is tracked on your site by keeping in-person & website sales synced automatically! We build the online store & travel to your location to link the physical location to your website so that your statistics & inventory are all tracked in one place. 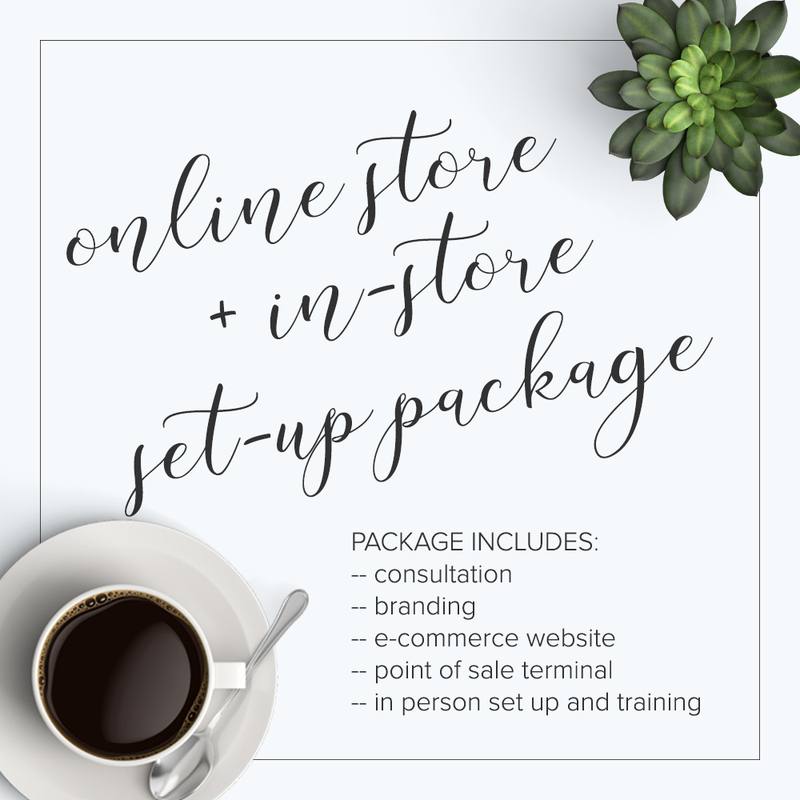 While we're with you for the week, we also provide training for you & your employees on how to manage your online store & address any last-minute adjustments or questions immediately. Ready to learn more? Read the full description. Questions about this listing? Tap to call & let’s chat about it! 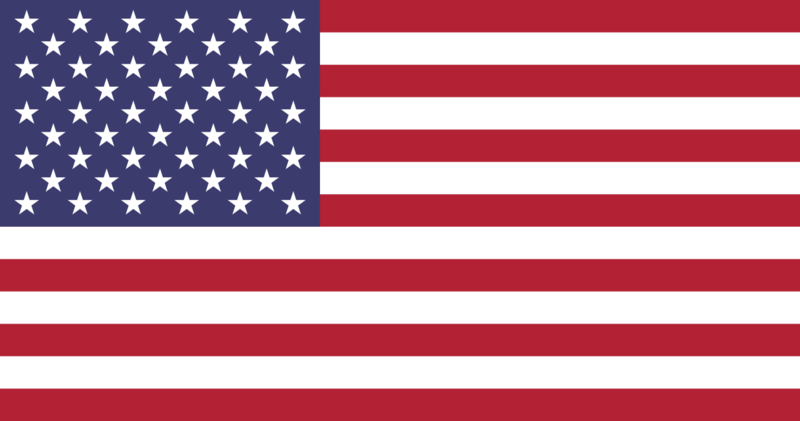 Call hours are: M-F 8AM – 4PM Pacific Time. So, you have this amazing idea for a business, right? Or, you’re ready to take the next step and open a physical location for your online business? What do you do? You know you need a few things, like some way to process payment or some way to keep track of inventory. But, how?? Where do you find that, how do you set it up, and how are all of these little pieces going to fit together? If your business sells online, and in a physical location, you’ll need a way to elegantly and reliably track your inventory for both your online & physical store. You’ll also need to know how to use the software, and probably help setting it up, too. If this is you, you probably have started researching and found out that the cost of an online & physical store set-up is costly, often $20,000+! Yikes! We’re happy to offer our powerful eCommerce website development along with a physical point of sale (POS) solution for our business clients who need a reliable, affordable, & attractive in-store or in-person sales solution – complete with a cash drawer! We’ll see the process from start to finish — complete with research & analysis for your brand identity, a beautiful brand and branded materials, and a gorgeous website to match. For the inner workings of your business — that behind the scenes stuff — we’ll help with that, too, to include the equipment, set-up, and in-person training. 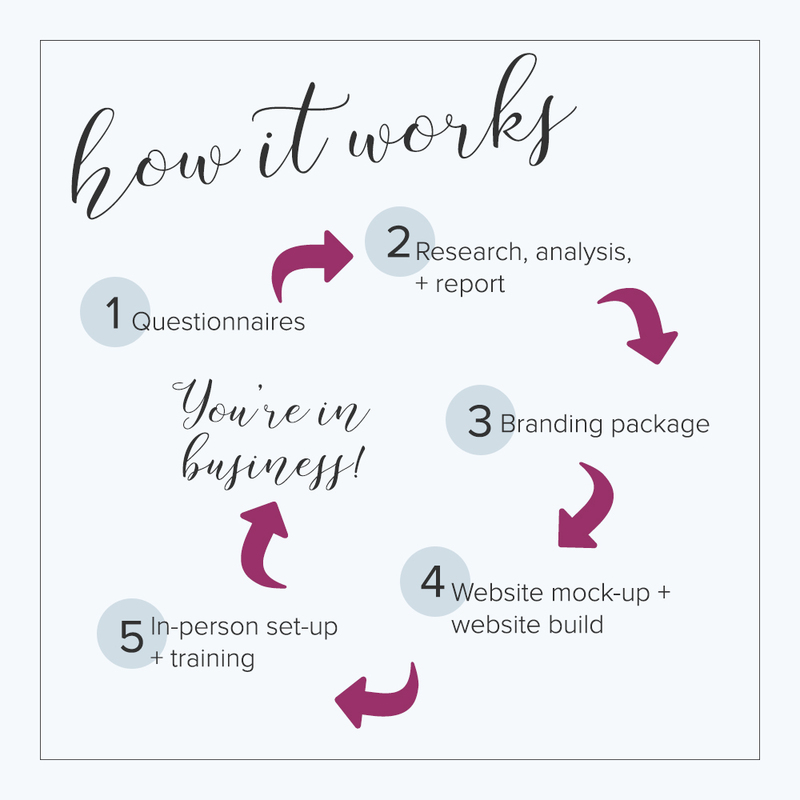 Whether you’re a pop-up boutique, a store with a static, physical location, an eCommerce site owner who’s been conducting online sales & you’re looking to expand into a brick & mortar location & begin benefiting from in-store sales, or a food truck – this service can save you months of research & thousands of dollars. There are no monthly subscriptions for this package – once you’ve completed the purchase & have your website & hardware in place, you own it completely. Ultimate Business Branding — includes three brand identity concepts developed & presented; final files include custom logo, two sublogos, color palette, pattern, and the design of five collateral items to enhance your brand. Upon purchase, we will provide you with our Branding Questionnaire as well as our Website Questionnaire. It’s important to be thorough with these, since they will decide what needs to be done with your brand & website. We will schedule a time to have an initial consultation with you via Skype or Facetime to discuss specifics of your operations & your requirements. Please ensure that you have a quiet & distraction-free area & time for this session. Once we receive the completed questionnaires, we will set up 2 shared folders – one for your branding files & one for your website content. Design of your brand will take priority, since everything your business does will have your brand attached to it. We will schedule a week to travel to your location & provide final setup & staff training on managing your website. This may also include entering your stock into your database, so don’t worry about not having that done, yet. 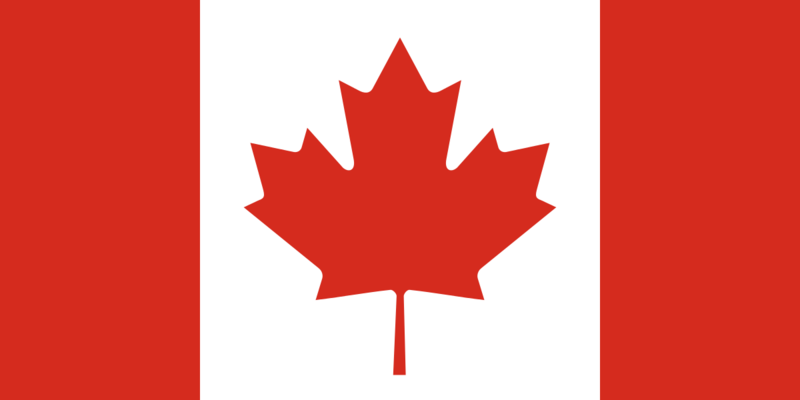 We will provide free email & telephone support for 60 days after finalization of your package. Why? Because every business & their site is unique & there’s simply no way to anticipate every possible situation – we want to ensure your success. We can have this package fully completed within 60-90 days from start to finish with optimal communication from you, if you make this a priority for your venture! You will need to ensure you have specific information ready for us, such as supplier photos, tax & shipping rates, item descriptions, etc. The bottom line is that your business is our priority & we will work on your schedule as much as possible. Split payment using PayPal Credit – you can work out a repayment schedule directly with PayPal for part of the package & avoid additional fees if paid off within 6 months. Simply select PayPal at checkout & then PayPal credit on their site. PayPal credit usually tops out around $7,500, we’ll work out the balance with a custom listing for you. What are the package milestones? We will provide a mutual agreement that limits our liability as well as your own to protect both parties involved. Payment must be completed prior to the week-long training session & site finalization. Please ensure that you’ve taken the time to look over our general policies, as well – that’s it! The price on this package is non-negotiable. If you’re an Experience client, however, we will credit the amount of your Experience order to this package! Do you provide any discounts on this package? No discounts are available for this package, given its exceptional value already. Will you use software that I specify? Possibly – we aren’t able to accommodate specialty software for core functionality at this point but please contact us to discuss. What if I need longer to finalize my project? Totally fine! We know that everything moves at its own pace & will work out timing with you to accommodate your needs. How many POS terminals does your online & physical store setup include? Currently only one POS terminal is possible for this package. If your requirements are for multiple POS terminals, this is not the correct package for your needs. You are, however, able to transport your POS terminal incredibly easily to anywhere you need to be.